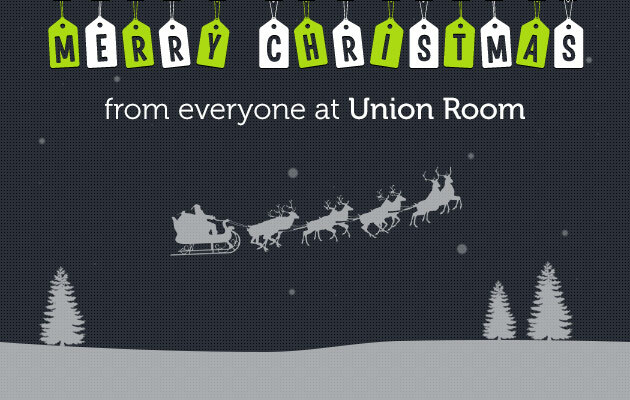 Merry Christmas from Union Room! We would like to take the opportunity to wish all of our clients, partners, supporters, colleagues and friends a very Merry Christmas and a Happy New Year! 2014 has been an amazing year for Union Room, and we couldn’t have done it without you. Please note that over the festive period the studio will be closed from the afternoon of 23rd December until 9:00am 5th January. If you do have any queries during this time, please drop us an email at info@unionroom.com and we will get back to you as soon as we can. We are looking forward to another exciting year in 2015, and hope you will join us on the journey. For all of your web design and development needs in Newcastle next year, please do not hesitate to get in touch!